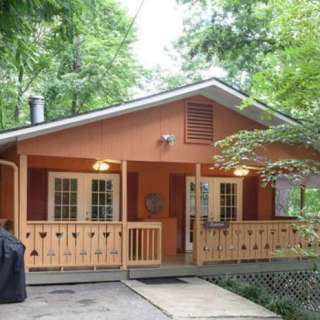 Asheville Swiss Chalets has 11 top-rated, pet friendly cabins and cottages. Choose from Asheville, NC cabin rentals on Beaucatcher Mountain or Weaverville’s small-town charm just 10 minutes north of downtown Asheville. All rentals are fully stocked with all the conveniences of home. The properties are close to many popular breweries, nightlife and award winning restaurants; yet close enough to enjoy the beautiful outdoors, with waterfalls and hiking trails nearby. At Asheville Swiss Chalets we accept pets in all cabins and cottages. If you have specific questions, please read the pet policy on our web site or give us a call. All vacation rentals are smoke free and equipped with heating and AC for year-round comfort. Well-appointed and tastefully decorated we offer every convenience of home from full service kitchens, internet service, cable TV, and outdoor space for your pup. Some of our rentals have gas fireplaces. Your visit includes fresh baked cookies and a gift certificate to Judy's awesome Well-Bred Bakery & Cafe in Weaverville or Biltmore Village. The Bakery specializes in fine pastries, sandwiches, soups, gourmet salads, and espresso drinks.